One of the subjects folks seem to be interested in these days is raw cacao nibs. They can be found in health food stores often sold for very high prices, the packaging and marketing exuding with confident exclamations that raw cacao nibs are indeed theobroma – the ‘food of the gods’. And it is true: the name Theobroma is a Latin, scientific epithet meant to capture the traditional importance of cacao in Meso-American culture. Cacao was essentially a kind of currency for the Aztecs, Mayans and other Meso-American groups, as well as a sacred beverage and general health tonic. Like tea and coffee, the popularity of chocolate quickly spread throughout the West after the Spanish, Swiss and especially the Dutch got hold of it, mixing it with varying amounts of sugar and condensed milk that forms the more familiar form of chocolate we all know. One of the key elements of today’s cacao marketing push is this idea that “raw” cacao nibs are supposed to be better for you. Like many grains and legumes such as wheat and soy, cacao has polyphenols that are sometimes thought to be “good” for us, despite the fact that they are typically reduced when these foods are processed according to traditional methods of preparation including fermentation and roasting. While it may be that a little bit of these polyphenols are good for us, in upcoming book, Food As Medicine: The Theory and Practice of Food, I describe how these and other antinutrient factors (ANFs) interfere with nutrient absorption by binding with minerals, as well as promote inflammation in the gut. Fermenting cacao with naturally occurring microorganisms helps to break down these ANFs. In the traditional processing of cacao, once the beans were fermented they were cleaned and laid out to dry. While many of the microorganisms involved in fermentation are harmless, the beans are often contaminated with fungi such as Aspergillus that produce cancer-causing mycotoxins. What I find fascinating is that traditional Meso-Americans somehow figured this out, and found that by roasting the cacao beans over a slow fire, they could improve the quality of chocolate, not only inhibiting microbial contamination, but by breaking down anti-nutrient factors that could otherwise impair health. Roasting cacao is much like roasting coffee – some like it more roasted, some like less – people will even drink it from a cat’s bum; but they never drink it green, even if it contains polyphenols… it has no flavor. Which brings us to the current “raw cacao nib” thang that I hear sooo much about. For one thing, I really wonder if these products are actually raw, and just what “raw” is supposed to mean. To me, “raw” means unprocessed. Here, want a raw carrot? Yank it out of the ground and eat it. That’s raw. You can wash it off and even peel it, and it’s still raw. But in order to develop the nuanced flavors of chocolate cacao beans must undergo germination, and so they are not raw at all. They have been “cooked” by the sweaty heat of the microbes, and transformed into something else. A truly “raw” cacao bean is white and plain and not at all inspiring – but fermented cacao beans, well, they’re like a fine cheese or wine, all of which rely on controlling fermentation to get the desired flavor. But remember: during the fermentation process the beans become covered in a microbial “fuzz” that nobody wants to eat. Would you want to eat beans covered in Aspergillus flavus spores? Besides which, the roasting process is just another key step in creating that familiar chocolate flavor, just like green coffee beans taste nothing like roasted beans. Suffice it to say, “raw” cacao nibs are very likely roasted, and therefore not raw at all. So are raw cacao nibs really different from other sources of chocolate? In short – no they are not. Rather, cacao nibs are the starting ingredient in commercial chocolate manufacturing, before skinning and powdering the roasted bean, then cooking it down into a chocolate liquor that is cooled into unsweetened blocks of dark chocolate. In other words, “raw” organic cacao nibs are the starting ingredient of your average certified organic chocolate bar at the natural food grocery store. But when you look at the cost between the chocolate bar and the cacao nibs, the cacao nibs are actually more expensive. ADDENDUM: Some folks have pointed out that a few companies are claiming that their beans aren’t even roasted, not for any rational reason apart from satisfying the “raw vegan” niche. Instead of roasting, some companies use a commercial dehydrator, and this achieves a similar result to roasting, with regard to flavor. But if indeed this is the method utilized, the temperature is likely too low to sufficiently reduce the microbiological load from wild fermentation – remember, it’s not just a lactic acid ferment, like acidophilus! Personally, I would want to see a microbial assay before I would eat non-roasted cacao beans. Clear, helpful, truthful information that leaves the solution to the reader. Your handling reminds me of From Chocolate To Morphine by Andrew Weil. Thanks for providing some perspective Todd. Do you think there are any health benefits to consuming chocolate in any form and what would be the best way to consume it? I sometimes make chocolate treats with cacao powder or grind up the nibs in a coffee grinder, then mix it with dates, honey, coconut oil and some other things; quite nice. The antioxidant content is said to be really high in cacao along with minerals such as magnesium. I’m just not sure if this is blown out of proportion and just marketing or if it’s valid science. Chewing on the roasted nibs is probably ok, but anything that’s been roasted and sits around in clear plastic under the bright lights of the grocery store shelf isn’t very good. Fortunately, coco beans are about 65% saturated fat, and much of the remaining portion is oleic acid (omega 9). So these are _relatively_ shelf stable. But still, fresh is best. As such, I think freshly roasted cacao beans make sense, just like fresh roasted coffee. Coffee is also fermented in a similar fashion. So maybe local “chocolatiers”, offering fresh hot chocolate “coffee” with chilis, mint or vanilla? A hot beverage was exactly how it got introduced into the French court, as a stimulant instead of tea or coffee. I guess for home use we could do the same thing as for coffee – get it from local roasters. I have made chocolate coffee from my own cacao beans I brought back home in the pod, and the effect was much like coffee – maybe even stronger! The problem may be however that the roasting needs to occur close to source, to deal with fungal mycotoxins before packaging and shipping. As for defatted coco powder, it depends on the process. The “Dutch” process involves the use of alkalis, which probably destroys many of the polyphenols. The broma process of “sweating” the fats out of the beans in a warm room is probably the best method for the defatted product. But I have never seen a chocolate company advertise this method per se. 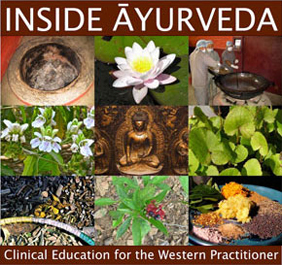 Informed by the theory and practices of Ayurveda, folk medicine and scientific research, the new book Food As Medicine: The Theory and Practice of Food provides a practical and lucid model of what food is, how it impacts your health, and how to make the best choices in your diet - all depending on your individual needs. This detailed and timely book also includes meal plans and delicious recipes as well as therapeutic approaches to diet and herbs for specific conditions. 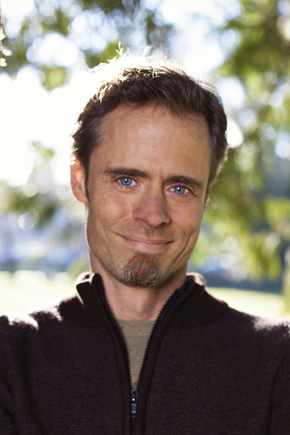 Todd Caldecott is a trained medical herbalist and practitioner of Ayurveda, in clinical practice since 1997. 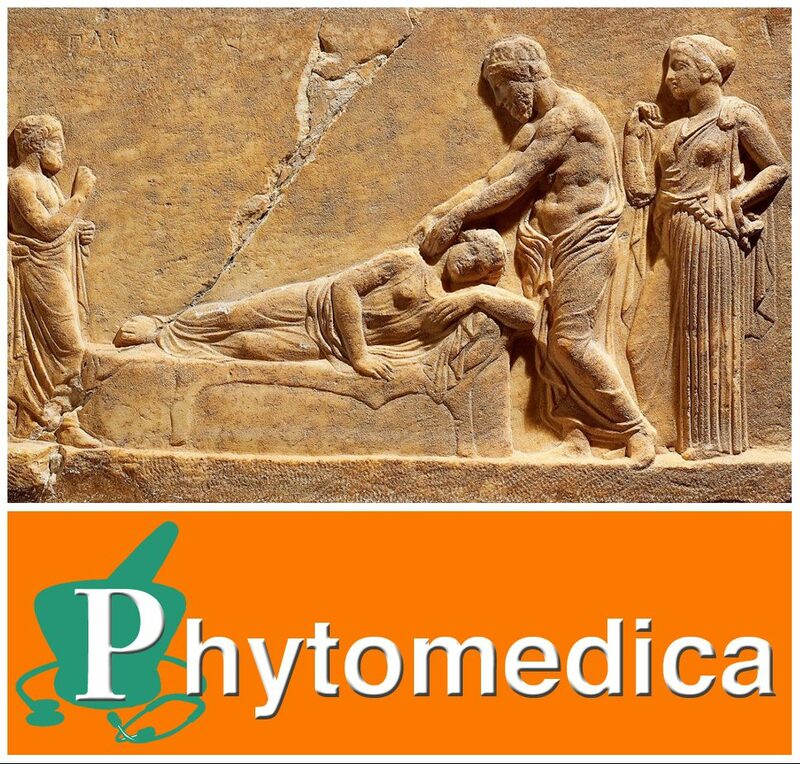 He the Executive Director of Dogwood School of Botanical Medicine, and a registered professional member of the American Herbalists Guild since 1997. He is author of the textbook Ayurveda: The Divine Science of Life and editor of a new text on Nepalese ethnobotany called Ayurveda in Nepal. Todd lives in Vancouver B.C. with his family where he practices and teaches herbal medicine and Ayurveda. Check out his website at www.toddcaldecott.com to get free information on natural health and healing. 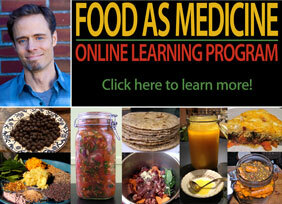 Food As Medicine classes begin Oct 8th! Does glyphosate cause celiac disease? Do you use grapefruit seed extract? Cut BPA and pthalate levels in half! Were they wrong about salt? Copyright © 2019 by Todd Caldecott. All Rights Reserved.